JUST IN: POWER PAANDI RELEASE DATE ANNOUNCED! 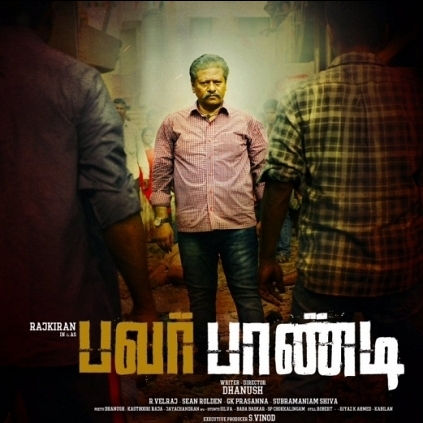 Dhanush's debut directorial Power Paandi, featuring Rajkiran in the lead role began on the 7th of September. The film stars Prasanna, Chaya Singh, Robo Shankar, Vidyulekha Raman in pivotal roles. Dhanush is also said to have appeared in a brief cameo role. Now, the makers have officially announced that the film will release on 14th April 2017 for Tamil New Year. Dhanush's tweet read, "Power paandi #dd1 will release on 14-4-2017. Happens to be my mothers birthday #blessed." The film has music by Sean Roldan and cinematography by Velraj. People looking for online information on Dhanush, Power Paandi, Rajkiran will find this news story useful.